Update 1.6.0 is now available for download. You may install it right now; otherwise, an automatic update will occur at approximately 8:00 PM Mar 26, 2019(PT)/3:00 AM Mar 27, 2019(UTC). 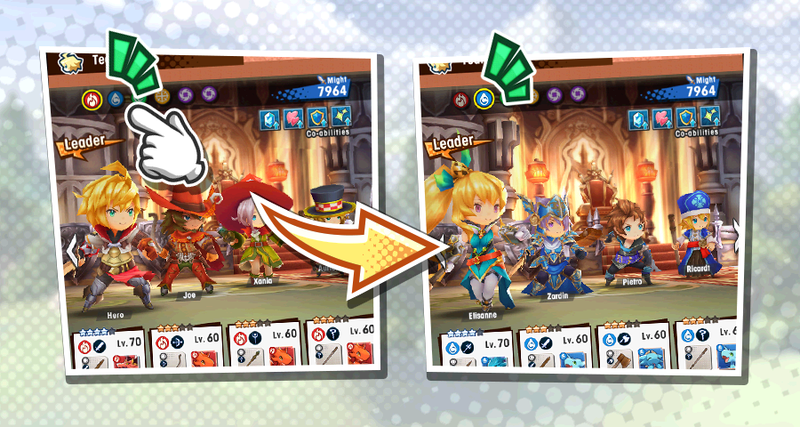 Note: When you update to version 1.6.0, you will no longer be matched with players using older versions of the game. With this update, we’ve fixed various issues and added and changed some features. To commemorate the update, we’ll be sending all players a Tenfold Summon Voucher. This notice will be modified after they’ve been distributed. 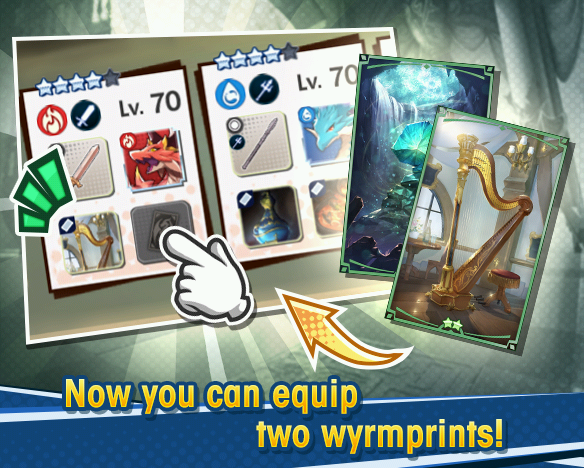 Upon completing Chapter 4 of the main campaign, you will be able to equip a second wyrmprint. When you do, the HP, strength, and abilities of that wyrmprint will be added to the adventurer's stats. Note: You cannot equip an adventurer with two of the same wyrmprint. If the two wyrmprints have abilities of the same effect, the effects will stack. However, there is a limit to the effects obtainable via stacking abilities. You cannot exceed the limit for ability effects, even if the conditions for triggering the abilities differ. This limit does not apply to adventurer, weapon, or dragon abilities. 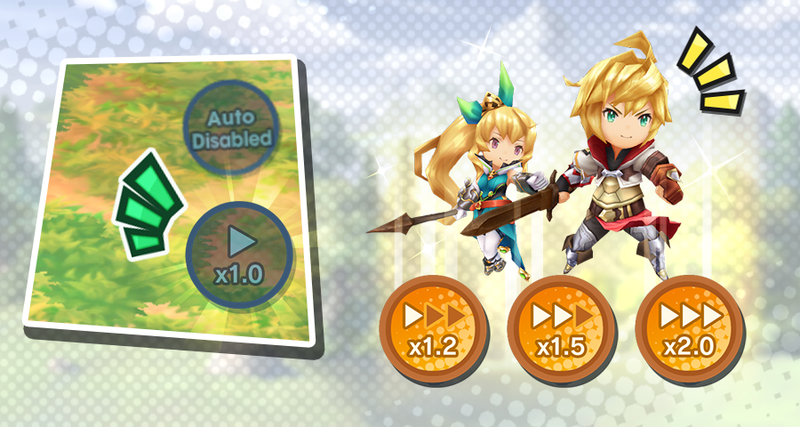 If the two wyrmprints have abilities which apply the same buff under the same conditions, those abilities will be considered a single ability. For such abilities, the color of the text and the numerical value indicating the effect's potency will change. The text color will also change when the limit has been reached. 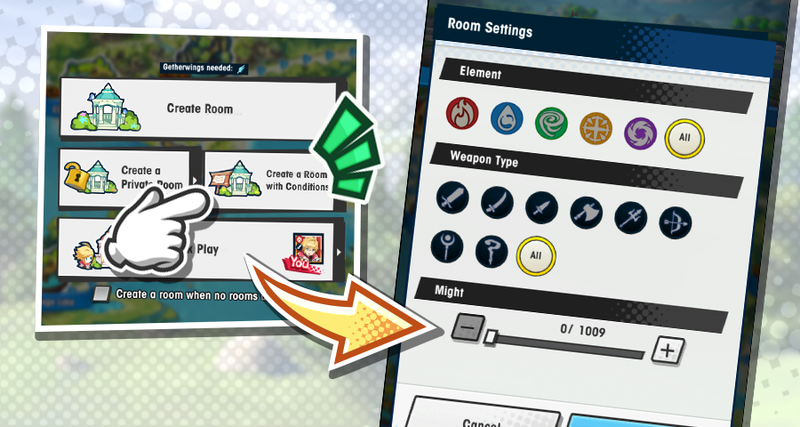 When playing co-op, you'll be able to create rooms with certain conditions for entry by setting conditions before looking for players. You'll be able to set element, weapon type, and might as conditions. When creating rooms for raid battles, you will be able to set team element and team might as conditions. Note: There is a limit to the might or team might the player creating the room can set, which is based on the might of that player. Players will be found from those who selected Find a Room. Whether a player meets the conditions to enter a room will be determined based on the leader of the selected team. Note: Any adventurers and game screenshots shown are still in development. When you don't have enough materials for unbinding mana circles, leveling up facilities in the Halidom, or crafting weapons, you'll be able to remain on those screens and trade without having to go to Treasure Trade in the Shop. If there is a material that can be traded, a trade icon will display on the top right of the icon. 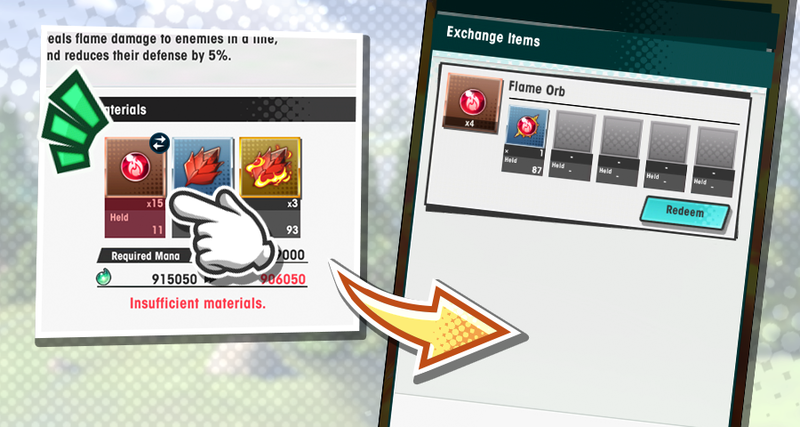 Note: You will not be able to trade for event materials from facility events or other events. You can now change the speed of the game (1.2x, 1.5x, and 2.0x) when playing a quest solo. Your game-speed selection will carry over into other quests. The button to change game speed unlocks from Chapter 1 / 4-2. When you receive persistent damage, such as that from afflictions, an icon will now display beside the numerical value to denote the source. 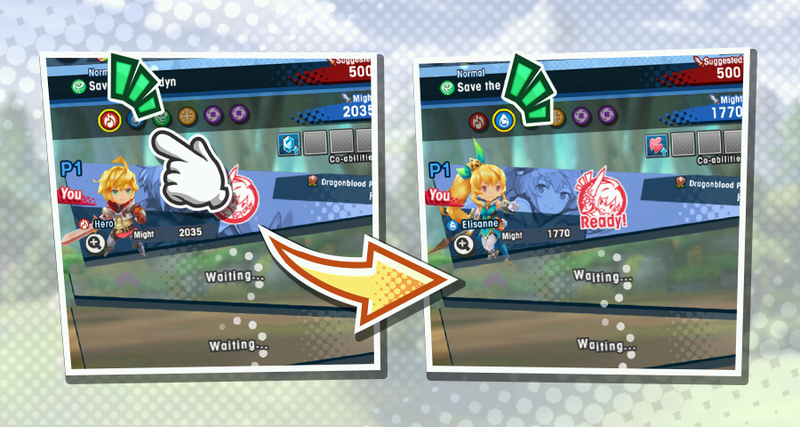 The team leader's element will now display on the UI for switching between teams. You can change teams by tapping the team-page icon in co-op rooms as well. ・Added information about bonding with dragons to The Dragon's Roost under Help. ・The on/off setting for Auto will now always be carried over. ・In High Midgardsormr's Trial, it is no longer possible to avoid the Tattered Sky attack by using a support skill or shapeshifting. ・In High Brunhilda's Trial, it is no longer possible to avoid the Searing Pillar attack by using a support skill or shapeshifting. ・In Void Zephyr Strike, it is no longer possible to avoid the Howling Vortex attack by using a support skill or shapeshifting. ・Adjusted some ability names in conjunction with the changes to wyrmprint functionality. ・Adjusted the UI on several other screens. The following changes were made in a data update at 10:30 PM Mar 26, 2019(PT) / 5:30 AM Mar 27, 2019(UTC). ・Changed the skill name for Ultramarine Knife from Aqua Spiral to Ultramarine Spin. ・Adjusted descriptions of abilities that apply buffs to clarify that a buff is applied. ・After being disconnected from co-op play and switching to solo play, users sometimes received errors about idling in co-op. ・Some game elements ceased to work after being disconnected from co-op play. 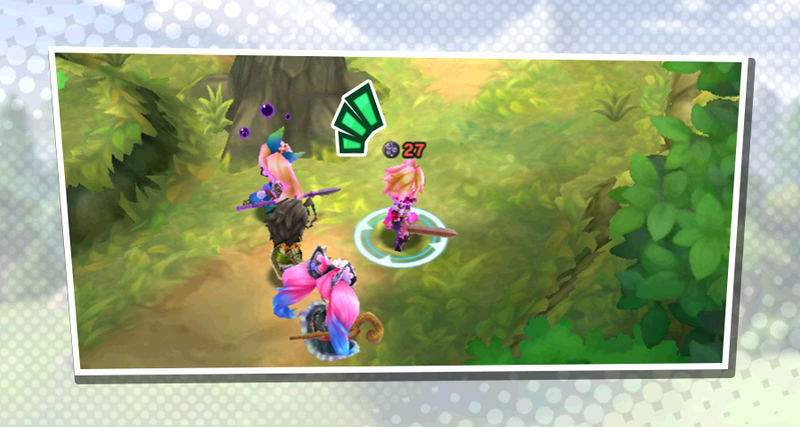 ・When playing co-op, sometimes the enemy's affliction resistance differed between hosts and guests. ・With skills or force strikes enhanced due to skills, if a player used a continue while the skills or force strikes were enhanced, the enhanced state was constantly maintained. ・With skills enhanced due to skills, the total damage might not have been displayed. ・With skills where there is a time gap before damage is applied, the damage for later attacks that hit was sometimes not added to the total damage. ・For bow adventurers, when a skill hit immediately after activating a force strike, sometimes multiple total damage values displayed one after another. ・Doublebuff abilities sometimes were not triggered due to Last Defense abilities. ・Sometimes the Enemy Wall did not display in the path in Avenue to Fortune: Master. ・When a skill that had a damage shield effect was used, trap damage was not nullified. ・The effects of the Fafnir Statue (Flame) and Fafnir Statue (Wind) facilities placed in the Halidom were not applied to the stats displayed on the weapon change screen. The following issues were fixed in a data update at 10:30 PM Mar 26, 2019(PT) / 5:30 AM Mar 27, 2019(UTC). ・Sometimes the attacks of certain dragons were not registered as hits when attacking near a wall. ・When Hildegarde (Valentine's Version) was included in a team under AI control, she would not use Holy Protection unless she took damage. ・The effect for Heinwald's Abyssal Connection skill did not display correctly. ・The effect for when Blazing Ghost's Ranged Resistance activates did not display correctly. ・The skill description for Nefaria's Night of Antiquity skill under Showcase Info for the 5★ Summon Voucher did not match the description that displays on Nefaria's skill details page. It may take time for the store to reflect the updated information. Players may not be able to perform updates due to their device’s data cache being full. If you are unable to perform the update, restart your device, and then try downloading it from the store. As a token of our appreciation, the following item will be sent to players who started playing before 8:00 PM Mar 26, 2019(PT) / 3:00 AM Mar 27, 2019(UTC). For players who log in before 7:59 PM Apr 2, 2019(PT) / 2:59 AM Apr 3, 2019(UTC), this gift can be claimed from your goodie box for up to seven days after logging in. Thank you for playing Dragalia Lost. Game content is still in development. Certain specifications and features of your device may affect the game's performance. Persistent Internet and compatible smartphone required. Data charges may apply.